Home / event / Two Day Leather Bag Making Workshop Launched! Two Day Leather Bag Making Workshop Launched! 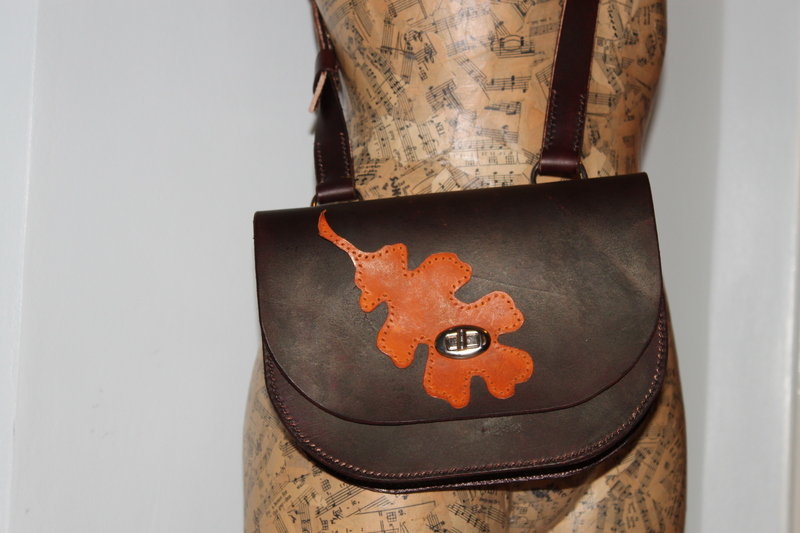 Learn to make a hand stitched leather bag in this two day workshop by Evancliffe Leathercraft. Evancliffe Leathercraft are pleased to announce the launch of their new two day Leather Bag Workshop. This is an ideal introduction to leatherwork through the making of your own leather bag at Evancliffe Leathercraft’s Wolsingham base overlooking beautiful Weardale in County Durham. To book onto the first scheduled bag making workshop on the 6th & 7th October 2018 visit the Bag Making on 6th & 7th October Eventbrite Page. Mark and cut out leather. Cutting leather to form straps. Preparing the leather to be stitched including marking and making the holes for stitching. Hand stitching leather using the traditional saddle stitch method. Attaching accessories such as D-rings, fasteners, sliders and buckles*. Burnishing & Applying finish the leather. The workshop runs from 10:00am – 5:30pm on Day 1 and 9:00am – 4:30pm on Day 2. All leather and tool use is included in the price of the workshop. We include tea, coffee and biscuits in the price however participants should bring their own packed lunch and any snaks / soft drinks you require each day. Accommodation IS NOT included in the price but Evancliffe Leathercraft are members of the Weardale Visitor Network. Many local accommodation providers are listed on their website. Please see below for a link. Closed toe footwear should be worn. If you wish to protect your clothing (from dye etc.) please bring a suitable apron. As we use a stitching pony to hold the work we also recommend wearing trousers instead of a skirt or kilt. Many of our students travel some distance to take part in our workshops and may need to find accommodation for one or two nights locally. Many also remark on how beautiful Weardale is, something that you will see first-hand if you take part in one of our workshops overlooking Weardale. If you need to cancel your booking for any reason please contact us as soon as possible. Over 28 days before the workshop date: Full refund OR alternative date if available. Between 14 and 28 days before the workshop date: 75% refund OR alternative date if available. Less than 14 days before the workshop date: No refund given. Refunds due will be paid to the original payee by the original payment method. If you do not turn up for your workshop, you will not be eligible for a refund nor will you be eligible to move your booking to an alternative date. In the unlikely event that a workshop has to be cancelled by Evancliffe Leathercraft, you will be offered the choice of a full refund or the opportunity to book onto an alternative workshop (if available). You will be given as much notice as possible if a workshop has to be cancelled. This policy may be subject to change so please check at the time of booking. The policy in place at the time of booking a place on a workshop will apply in the event of cancellation. 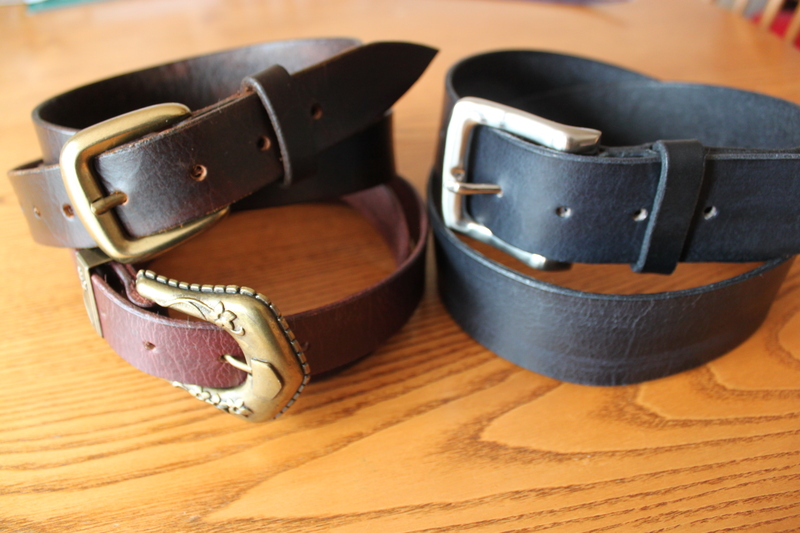 This one day course will introduce you to the principles of hand crafted leatherwork through the making of your own hand stitched,hand dyed, leather belt. A Hands On course during which you will learn how to mark out, cut and dye veg tan leather to make a belt. You will then prepare it for stitching and practice the technique of saddle stitch. The course will also show you how to burnish the edges of the belt and finish the leather. The price includes tuition, use of the tools , the leather for the belt and a buckle. Tea & Coffee will be provided. Please bring your own lunch and any soft drinks / snacks you require. Closed toe footwear should be worn. If you wish to protect your clothing (from dye etc.) please bring a suitable apron. As we use a stitching pony to hold the work we also recomend wearing trousers instead of a skirt or kilt. Evancliffe Leathercraft are members of the Weardale Visitor Network, a partnership of businesses who have a passion and commitment for developing the tourism trade and visitor experience within Weardale. Over 30 days before the workshop date: Full refund OR alternative date if available. Between 14 and 30 days before the workshop date: 75% refund OR alternative date if available. More Products Added to Our On Line Shop! © Copyright 2018 Evancliffe Leathercraft. All Rights Reserved.